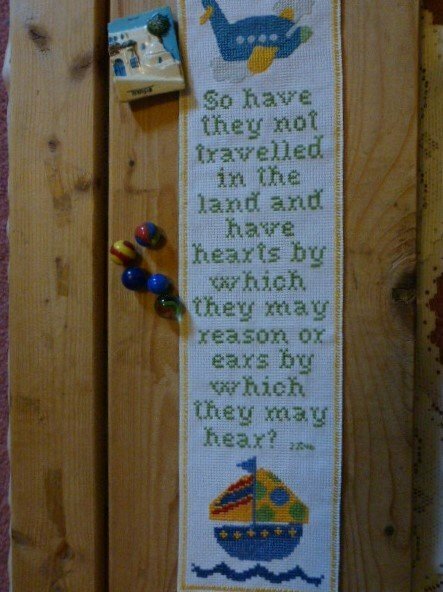 In Surah al-Hajj (22:46), Allah, Al-Alim (The All-Knowing), asks if we have not travelled in the land and if we don’t have hearts by which to reason and ears by which to hear. The places on Earth and the various time periods of history teach us many lessons and Allah, Glory to Him, has instructed us to learn from places and history by travelling in the world. For example, our Creator tells us in the Holy Qur’an about various unjust and cruel people, tyrants and oppressors, who were punished and destroyed along with their cities and dwellings by Allah’s Power. Even just looking at the silent ruined castles and destroyed palaces gives us thousands of points to reflect on. We can come to understand the history of these nations, their shameful behaviours and their consequences on the people and finally their chastisement and downfall. Thus, qalb (heart) is synonymous with wisdom, the symbol of our affections and spirituality. It is through our eyes, ears and heart that we perceive, comprehend and analyze, although it is possible to do so while being literally blind and/or deaf, by listening to or reading the advice of Divine Prophets and those walking upon the True Straight Path.